Here’s an easy and cost-efficient way to add RS232 serial capability to your industrial setting. 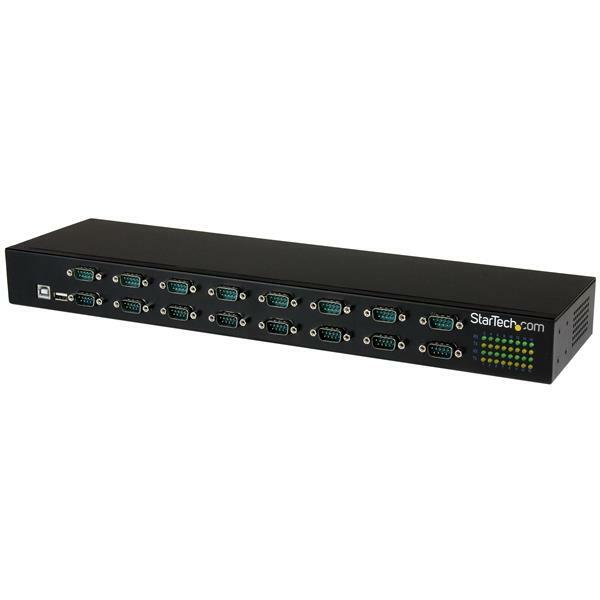 This 16-port USB-to-serial adapter hub features a sturdy, rack-mountable chassis, and supports daisy chaining, so you can connect multiple hubs together to increase your serial device port count. 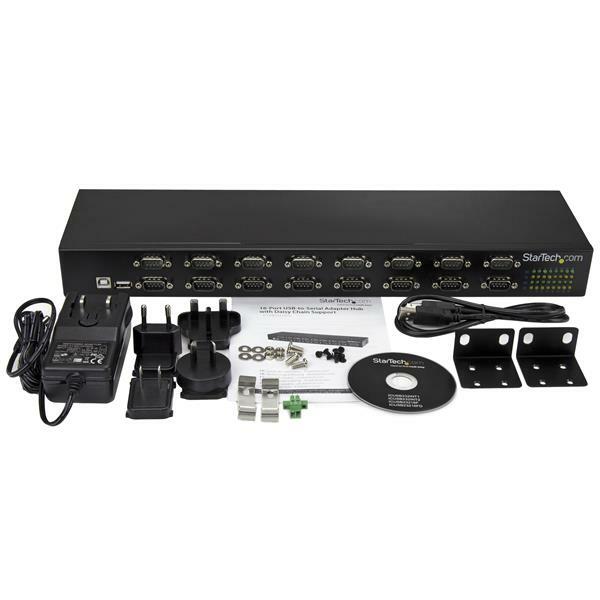 This rack-mountable USB serial hub (FTDI) lets you add 16 serial ports (RS232), with full control from your desktop or laptop computer system using a single USB port. The daisy-chain function gives you a cost-effective and scalable way to increase your serial port count and expand as your needs grow, without investing in a higher cost serial hub. Providing full control of your serial components from a single device, the USB serial hub is ideal for a multitude of applications including: industrial automation, self-serve automated kiosks, and monitoring of cameras and security systems. The hub features COM port retention, which retains the assigned serial COM port values. This ensures that the same values are automatically re-assigned to the port provided by the adapter, in the event it is disconnected and re-connected to the host computer. The hub features a reliable FTDI USB-to-serial chipset, which provides easy installation into a broad range of operating systems. With its all-metal chassis, this rugged, rack-mountable hub fits into standard 19-inch server storage racks to provide an efficient industrial serial solution. It supports an extended operating temperature range of -40°C to 85°C (-40°F to 185°F), ensuring reliable performance even in the harshest environments. 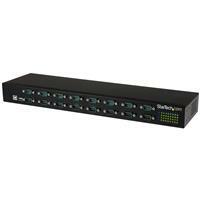 The USB-serial hub includes both an AC adapter and terminal block power, providing versatile power options. 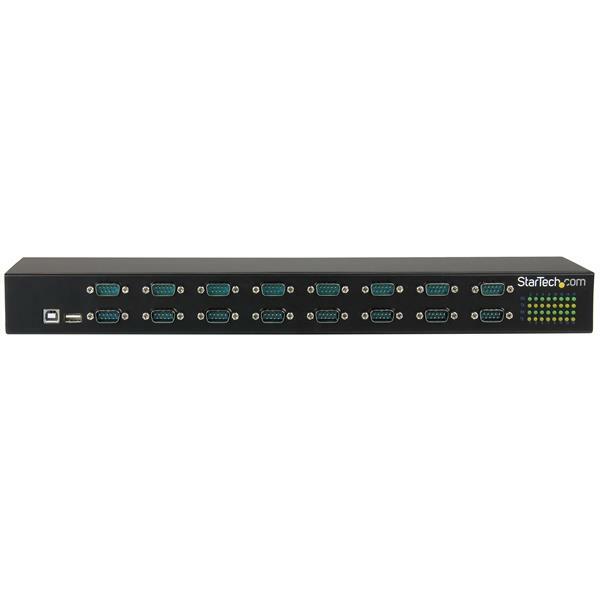 The ICUSB23216FD is backed by a StarTech.com 2-year warranty and free lifetime technical support.